Based on a survey by Ernst and Young, in Lyon, one could allot a monthly budget of 4, 441 Euro for basic family needs like housing, food, health care and even leisure activities. And for expats, this is definitely one valid point to seal the deal in moving to Lyon. Its nine arrondissements offer numerous housing options, whether you want to live in an urbanized community, or prefer the peaceful rural neighborhood. Either way, you are sure to find a place convenient to the city center where you can still have your daily dose of unpolluted air. The third arrondissement is the most populated, and is home to many wealthy families. It is also considered a modern business district. The fourth and fifth arrondissements on the other hand are quiet communities with well-visited historical sites, with the sixth administrative region being the wealthiest and home to numerous commercial sites. The 7th and 8th arrondissements are the home of Lyon's high-tech industrial zones. Average monthly rent for a one-bedroom apartment in the city center is about 332 to 1057 Euro, while a two-bedroom flat costs just a little more at 883 Euro. On the other hand, living outside the city center in a one-bedroom apartment would cost 600 Euro and living in an apartment with two bedrooms would cost 738 to 10,050 Euro monthly. 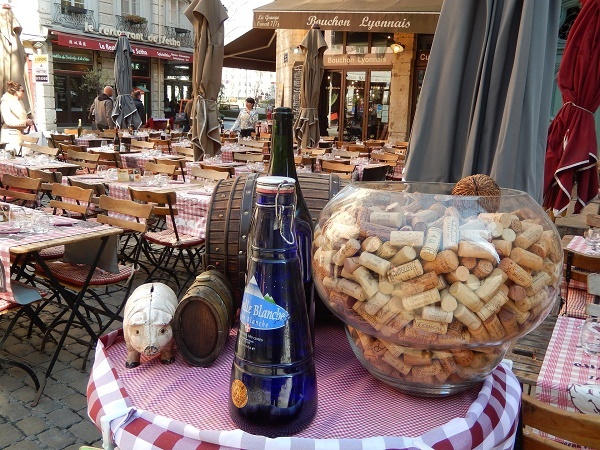 The city is home to France's best bouchons or traditional restaurants. These restaurants offer local delicacies such as the salade lyonnaise (Lyon salad) which is a green salad with bacon cubes, croutons and a poached egg, the quenelle de brochet, a dumpling made of flour and egg with pike fish and a crayfish sauce (Nantua sauce), and even exotic fare like the rognons de veau à la moutardewhich is a dish of veal kidneys in a mustard sauce. Bouchouns offer delicious filling meals that are easy on the pocket, averaging 15 Euro for a complete meal (which means it includes bread, service, and a carafe of water). Mid-range restaurants like the Le Resto d'Alice offers a full dinner with wine for about 48-80 Euro in a nice rustic setting and with friendly service. If you're in the mood to splurge every once in a while, places like the L'Auberge de l'Ile offer meals ranging from 75 to 125 Euro. One can visit the Croix-Rousse market which is open from Tuesdays to Sundays that offer the freshest fruits and vegetables at the best prices. Basic food products like milk costs 1.10 Euro, butter costs 1.25 Euro for 500 grams, a loaf of bread goes for 2 Euro, a kilo of potatoes about 3 Euro, tomatoes are priced at 2 Euro a kilo, while a kilo of beef costs somewhere around 11 Euro. Getting around the city is a pleasure, despite being a bustling business hub. Much credit goes to Lyon's efficient public transport system called TCL. A primary element of the city's transport system is the Metro rail system. It has four lines which run every two to ten minutes. There are also four tramlines which are very useful in going to campuses and suburban areas. There are 100 bus lines going in, out, and around the city center. A single ticket would cost about 1.30 to 1.50 Euro, a weekly pass about 7 Euro, and a monthly pass costs about 22-38 Euro. Lyon also has a public bicycle service called Velov, with a one-day ticket costing about 1 Euro and a weekly pass about 7 Euro. However, you would need a credit or debit card to make use of this service. Taxi fares are fixed, two Euro upon flag-down, and 1.34 Euro per succeeding kilometer. There may be additional charges for additional passengers (exceeding three), or for more luggage. Basic utilities such as electricity, gas, and water average an expense of about 105 Euro monthly, while telephone rental costs about 30 Euro. A monthly payment of 20-30 Euro may be incurred if you also opt to have a DSL internet connection. Paris may be France's more popular city, but there's a reason why a growing number of expatriates prefer the less polluted, more peaceful city of Lyon and more value for the hard-earned Euro.